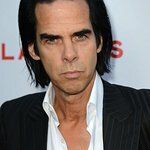 Nick Cave has just expressed his support for the Warlpiri community of Lajamanu in the Australian Tanami desert, who are crowdfunding an indigenous suicide prevention app. Three aboriginal people a week are being lost to suicide, and an indigenous person is four times more likely to take their own life than a non-indigenous person. Most indigenous suicides are children between the ages of 10 and 14. When a young man committed suicide in 2005, in the remote community of Lajamanu, local Warlpiri elders said ‘Enough is enough’. With help from friends, Lajamanu established Milpirri festival to spread the traditional ideas of ‘Kurdiji’ among their young people. They began to fight for every single young indigenous life in their community. Since 2005 there hasn’t been a single suicide in Lajamanu. Now those same elders want to bring Kurdiji into the digital age, with a community created app based on stories, ceremonies and law. They want to fight for all aboriginal lives, not just those in remote or traditional communities. The app will be called Kurdiji 1.0. This is a community-led and community empowering initiative, with indigenous elders providing all of the app’s content. They have partnered with an expert team to develop the app and roll it out across the whole of Aboriginal Australia. You can see a short video about the project here. 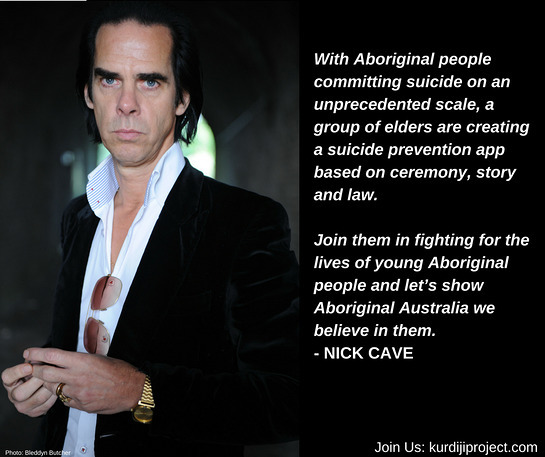 And you can support the elders via our GoFundMe page: www.kurdijiproject.com or their webpage: www.kurdijiproject.org.